Sure you can get a camera or audio baby monitor but if you like your baby to sleep then think about this Nanit Smart Baby Monitor. 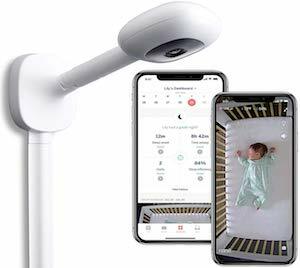 The Nanit baby monitor is a camera that hangs above your babies crib and watches over the little one while it sleeps and it does more then just giving your a look inside the crib as it also tracks the sleep of your lovely baby so that you know what is happening at night. The Nanit camera has a great night vision look so that even in the dark you can see what is happening and you don’t really need the internet either as it just works with WIFI. No need to have sleepless nights as you don’t know what happened with your baby at night because now there is the Nanit Smart Baby Monitor. SleepPhones are the solution for a good night sleep. Now you can wear these SleepPhone headphones and have some relaxing music or white noise playing while you fall a sleep. No problem with your partner snoring and no problem of earbuds falling out or hurting you. The SleepPhones Headphones have the speakers build in the band so that they are always where you want them. And you can even use the SleepPhones as eye mask. 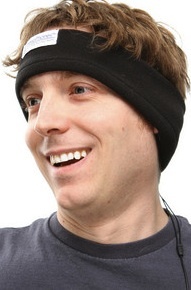 Just wear the SleepPhones all night and then your alarm can wake you through the SleepPhones. Go get a good night sleep and order your own SleepPhones Headphones. I found this new little gadget that seems interesting if you like to keep track of what you do in a day. The Fitbit is basicly a clip that you carry with you all day and night and it keeps track of you activities like a stepcounter does and keeps track of the calloties you burn. And it does more at night you clip it on a wristband and it keeps track of you sleep patern, it tells you when you fell asleep and how often you woke up at night. 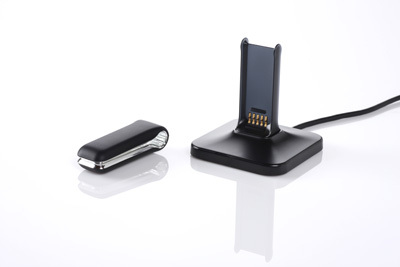 And then once in a while you place the clip on the stand and it will charge and send the data to the Fitbit website where you can then see how you did. It seems like a very neath exercise tool that tells you some basic info about how you move in a day. Do you move around enough or is there way to little fisical activitie in you life. To me this gadget seems a neath way of keeping track but for now it only is availible in the US so if you are interested check out the Fitbit website.